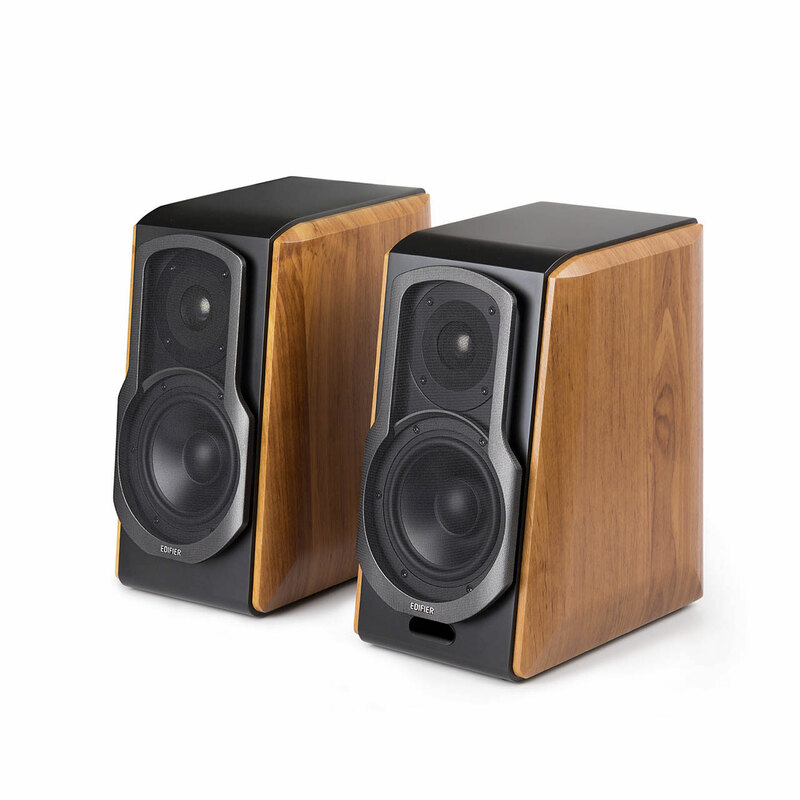 The S1000DB 2.0 Bluetooth bookshelf speakers are heavy hitters. Their front facing drivers are positioned for optimum performance. It delivers a hefty 120 watts in a stylish yet simplistic form with 5.5 inch aluminum bass drivers. 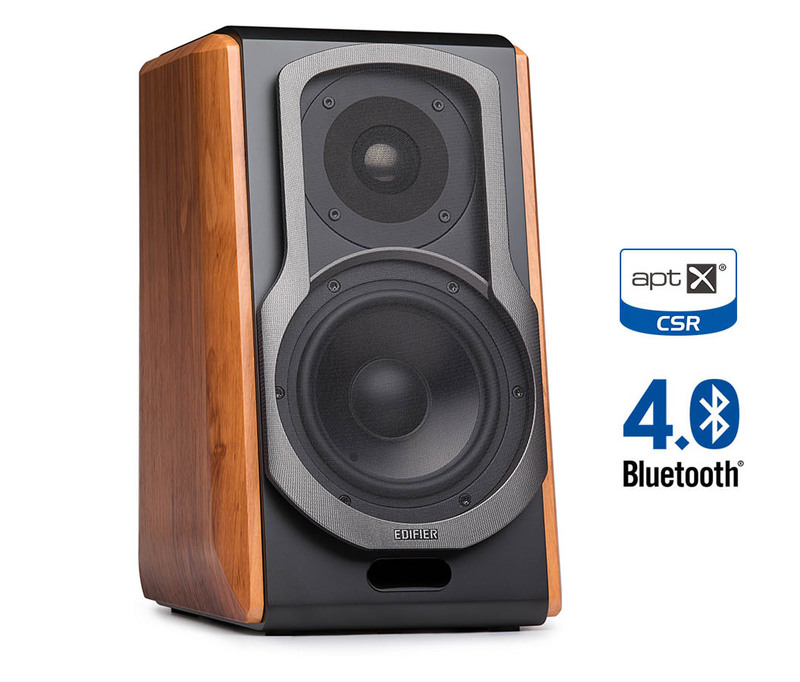 These drivers create a surge of bass for anyone looking to get the most from their sound. 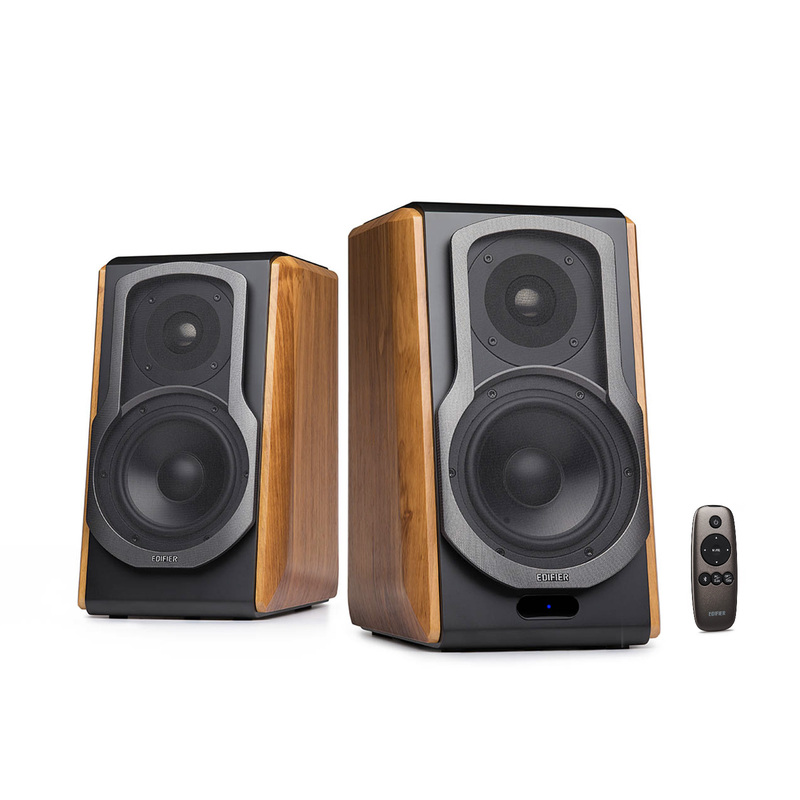 The S1000DB offers a much more premium feel than any of our other Edifier bookshelf speakers. 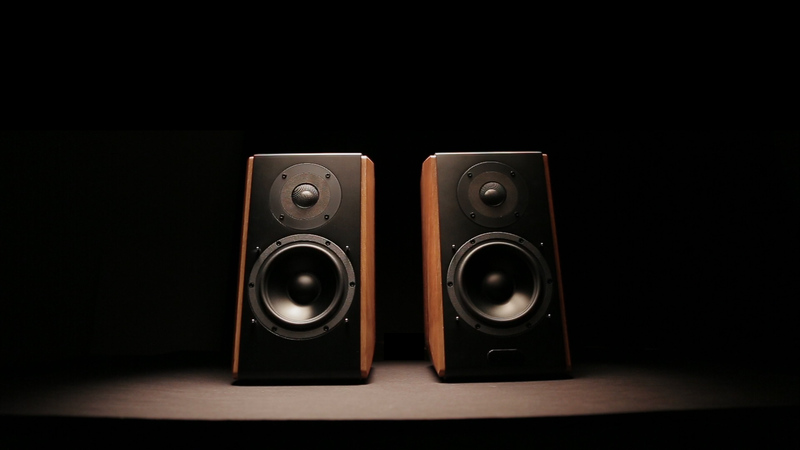 These are the perfect speakers to gaming set-ups for PCs and consoles. 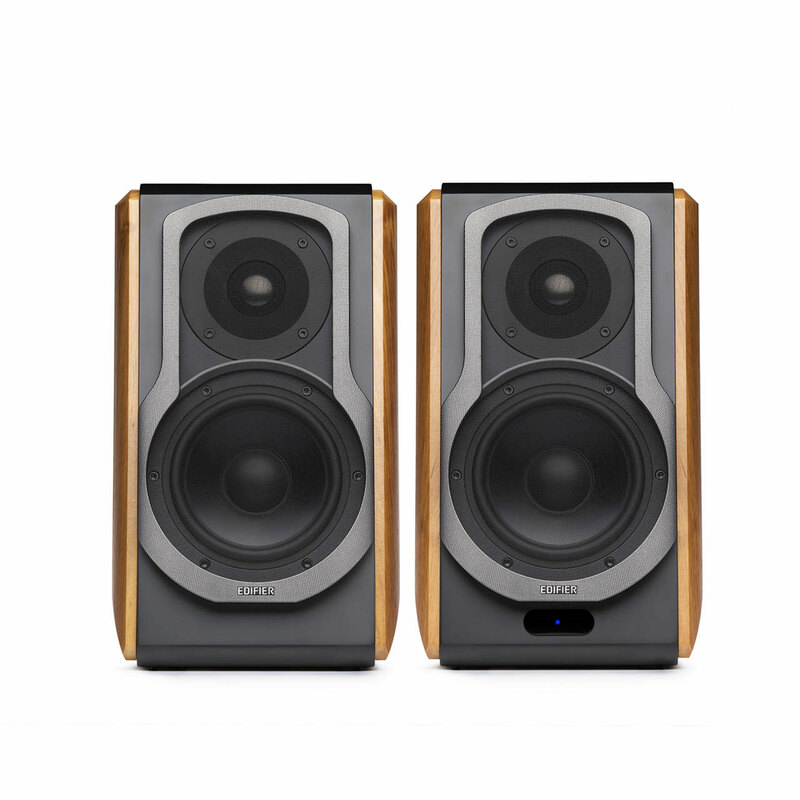 Easily, these are the most visually striking set of speakers among the visually stagnant field of bookshelf speakers made from other brands. 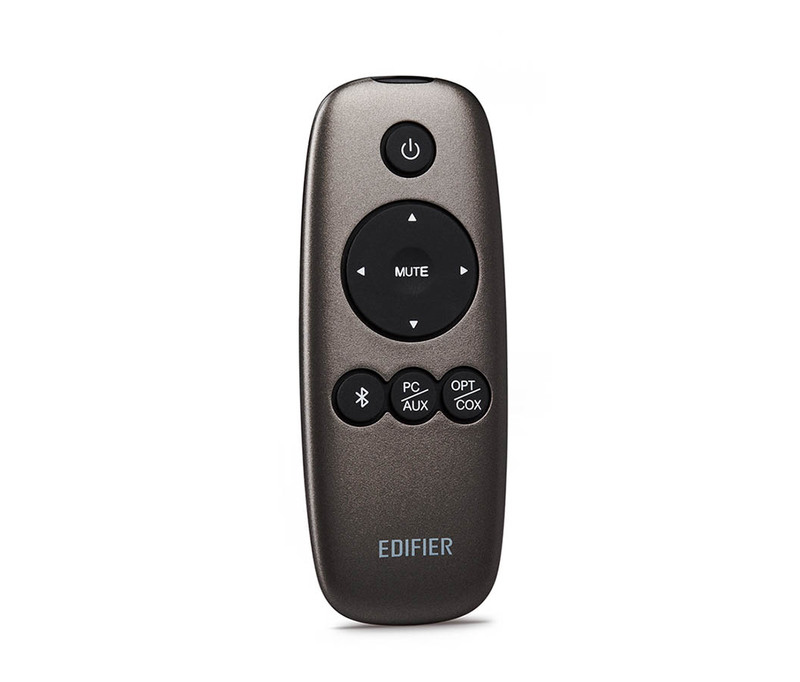 Absolutely perfect for hooking up to your TV for mind blowing sound for movies. 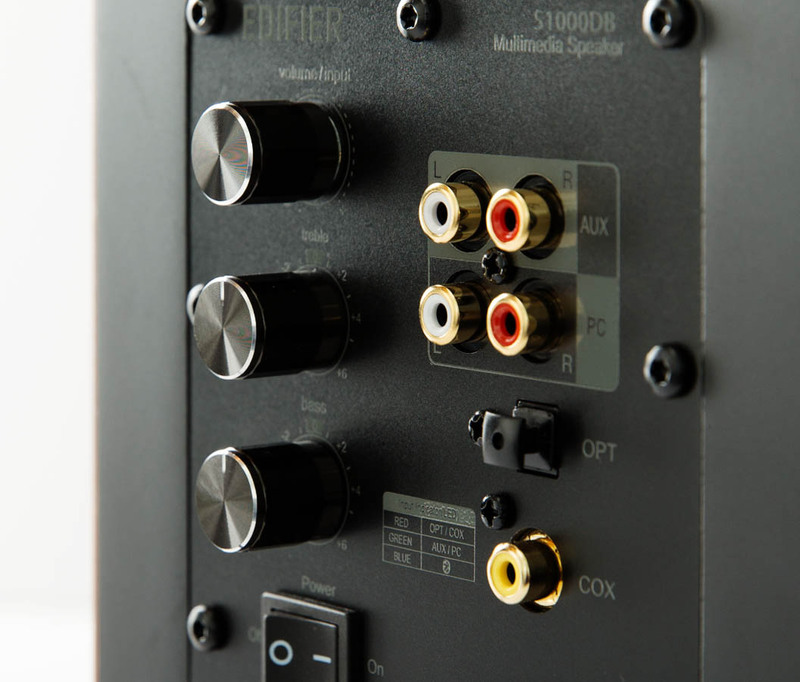 Connect the S1000DB to any style of input. Equipped with optical, coaxial, pc and auxiliary inputs, the S1000DB is Edifier’s latest admission into our 2.0 Studio Series. 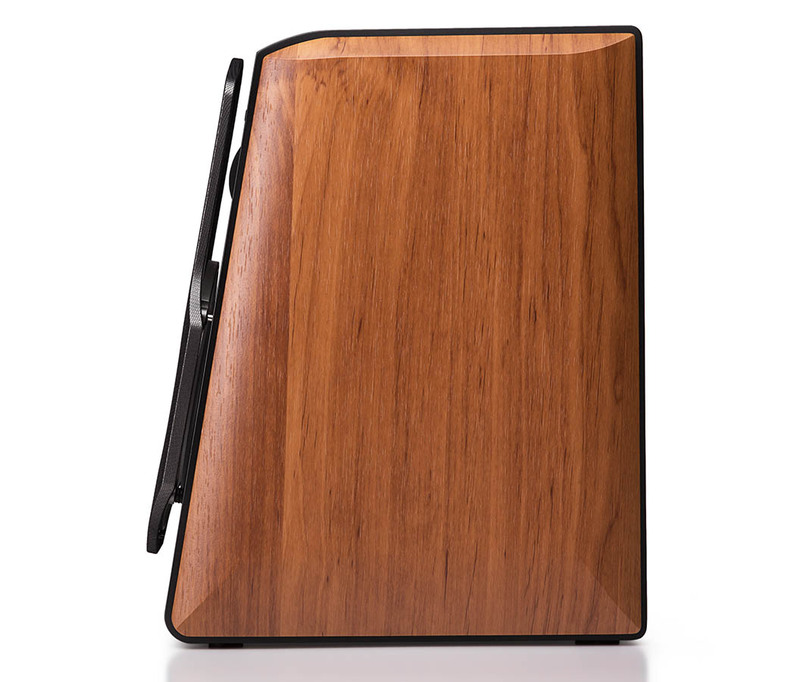 In addition, tune volume, bass, and treble to the exact settings you enjoy. Comes with 16-foot/5-meter connecting cable.